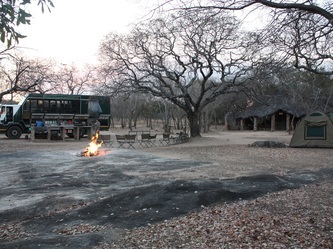 Big Cave campsite is an ideal stop over on the way to Hwange, Mana Pools & Great Zimbabwe. 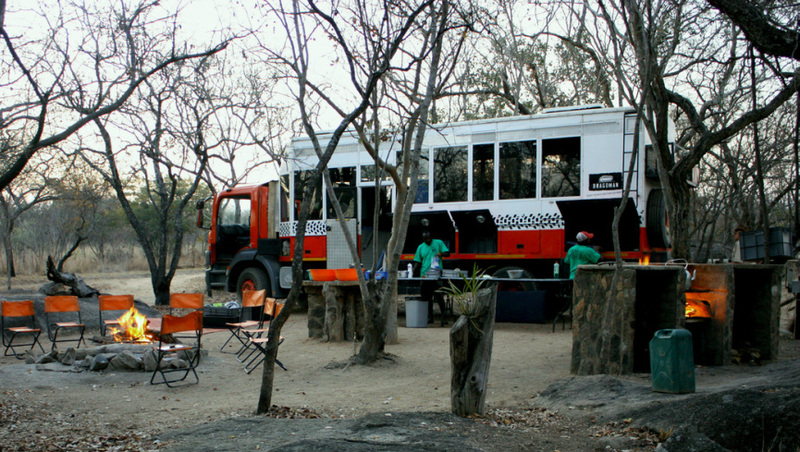 Big Cave Camp is pleased to be able to offer a range of campsites for both the 4 x 4 outdoor enthusiast as well as over land truck companies. 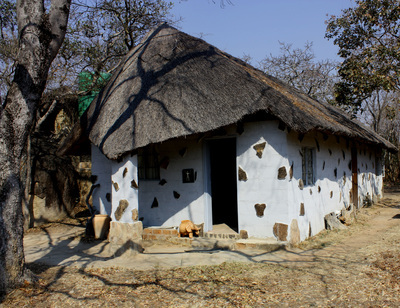 The Big Cave campsite is situated only 3 km off the main tarmac road, and is located in picturesque Miombo woodland, and is easily accessible (including large camper vans as well as 4 x 4 caravans). 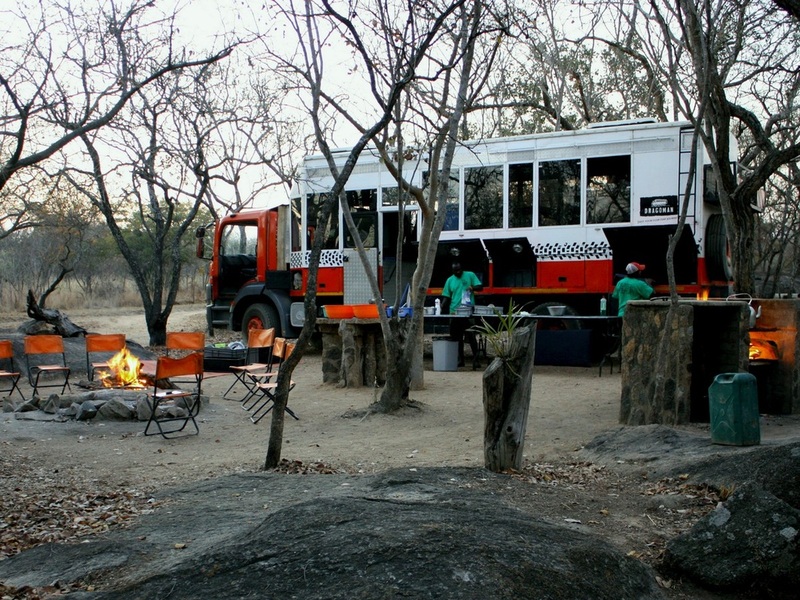 The camp site is divided into specific sites designed for the overland trucks, as well as a number of private sites for the 4 x 4 enthusiast. Park fees need not be paid to access the camp site. 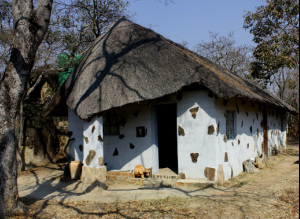 The campsite is 105 km's from the Plumtree border, and 370 km's from the Beitbridge border. This beautiful camp site is located 2 km from the National Park boundary, with wonderful views down the valley into the National Park. Access is through a separate gate which can accommodate large vehicles. 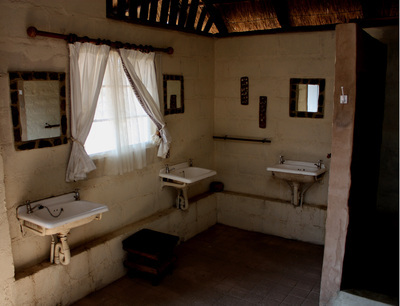 The campsite has a large ablution block with separate ladies and gents facilities, and a laundry area. In addition there is a bar area where drinks can be purchased and enjoyed! 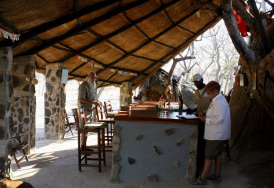 Brown Moyo is your keen and eager host, and will take care of any of your needs while staying at the camp site. NEW - we have just installed a Wi-Fi hot spot in the campsite, plus back up generator for lighting if mains goes off!! Rates: U.S$15.00 p.p.p.n., 50% for children under 12. Credit card facilities available. Essential to book in busy periods such as Easter and July school holidays. 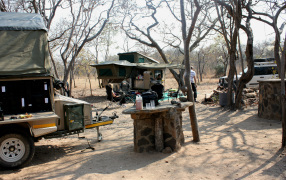 "This is a really good campsite in Miombo woodland. Well cared for and everything works. Clean ablutions, hot showers, quiet and peaceful. Brown looks after it perfectly." "We really enjoyed our stay at Big Cave Campsite. 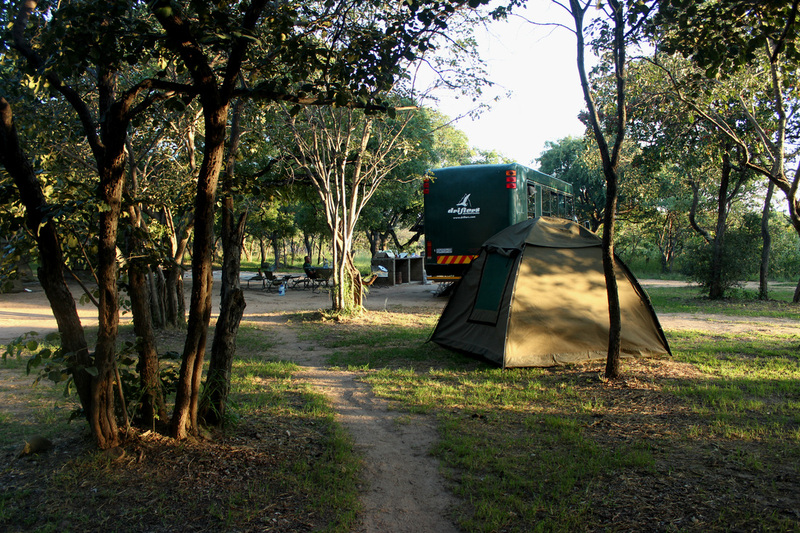 The area is beautiful and the campsite very well run with beautiful trees and well placed braai areas. 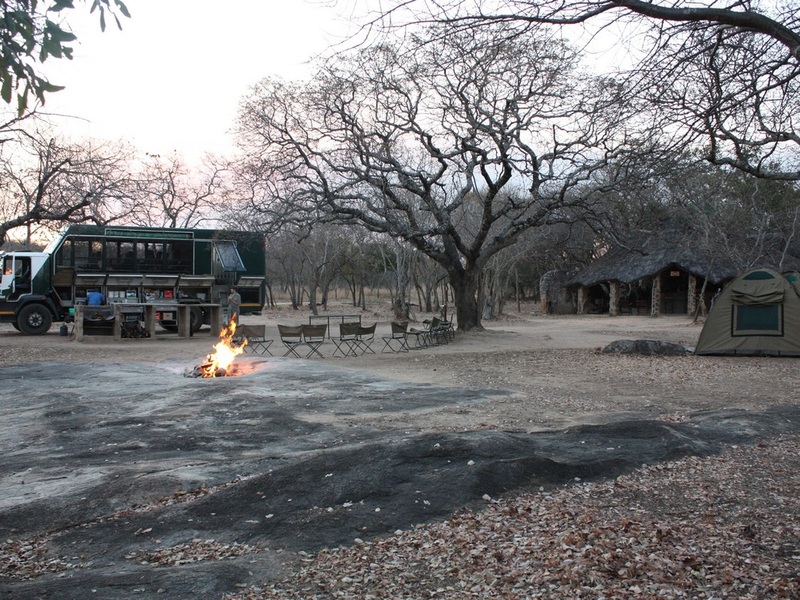 The camp manager was very helpful and attentive and made us a campfire on our arrival. We would definitely go back every time we are in the area." Well appointed ladies & gents ablution block. 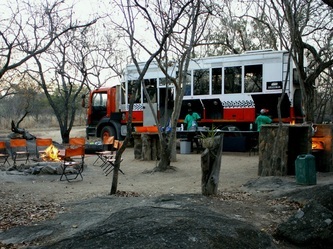 Tables and braai areas for private campers, as well as 220 volt power points. Looking for a camping experience but prefer a permanent roof over your head? Why not try our Ndebele Huts? "Lovely shady campsite and the kids enjoyed playing in the rocks. 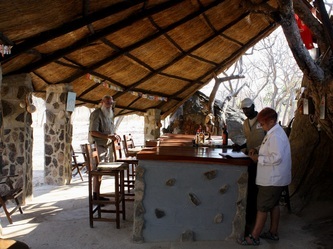 Very helpful staff, who met us and built a fire for us even though we arrived late at night. Clean ablutions with hot water!! The walk across to the lodge is also worth it - stunning setting."